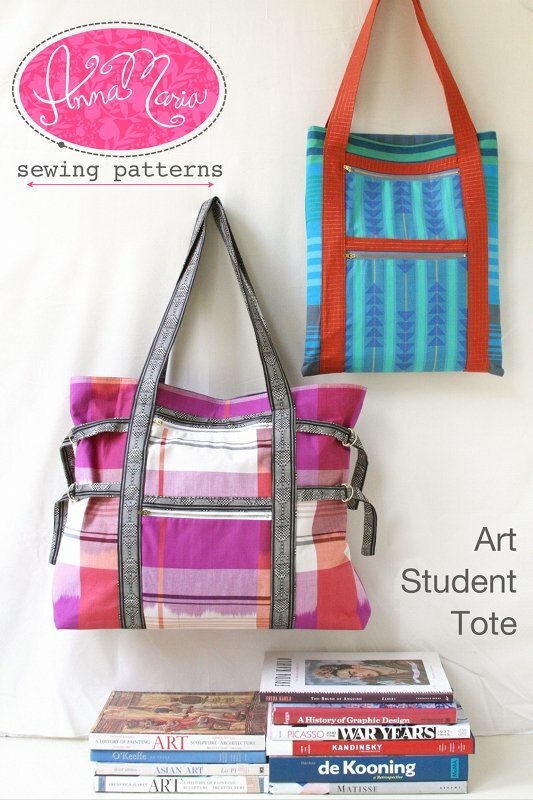 The Art Student Tote is loaded with pockets and is the most versatile bag pattern I've designed yet! Both full size options give you and organized space whether you're headed to painting 101, the quilt guild, an estate sale, or on the road with the family. The extension panel in option B increases the tote height to 24" but drops out of the way when you don't need it. And the slim option provides just as much style for days that are a bit lighter weight. Mid weight woven cottons, home decor cottons, or velveteens are perfectly fabulous for the outer panels, straps and outer pockets of this bag. You may want a lighter weight material for the lining panels, inner pockets and extension panels.